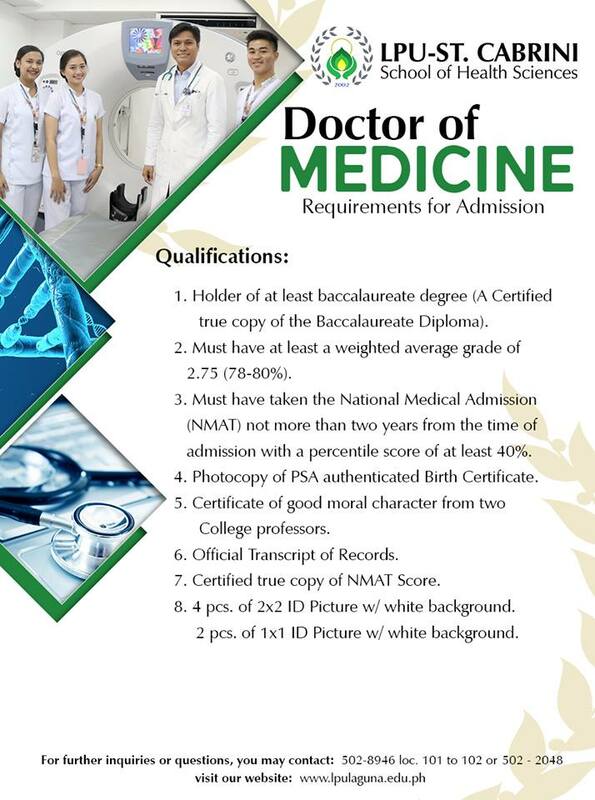 Please answer the form given as part of your application for our Doctor of Medicine Program. with the Dean of the College of Medicine, Dr. Brigido Carandang M.D. Please indicate when your’e available at your earliest convenience below if you’re not available on the said date. We will be tackling all the Frequently Asked Questions about our Medicine Program. Confirm your attendance at the end of the form. Please bring as much requirements (see attached image) needed for your application. LPU-St. Cabrini School of Health Sciences Inc.